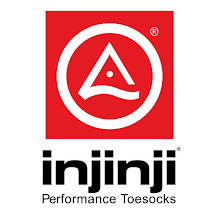 Monday, October 25th 2010: 6 miles @ 10:13 minutes per mile pace. 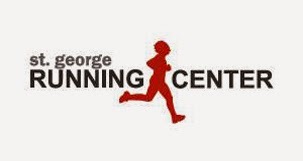 Tuesday, October 26th 2010: 4 miles @ 9:03 minutes per mile pace. You would not believe how insanely cold it was in the morning when I went running. It was windy and I didn't expect it to be that cold so I didn't dress warm enough. I would have paid good money for some Band-Aids to cover my nips. If I had gone only one more mile I would have surely cut holes through my shirt. 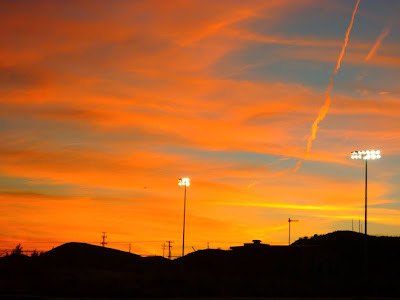 Wednesday, October 27th 2010: 4 miles @ track. We did a speed workout at the track with the gaggle of other crazy runners in the neighborhood. I did six 800's (twice around the track) with my times being: 3:36, 3:37, 3:35, 3:43, 3:30, and 3:22. Last week I was on the brink of vomit but this week I was a little faster and didn't have even one chunky burp. It was dark and I didn't want to be too far away from home so I pulled the same stunt as last week and did the one-mile loop around the block. For. Nineteen. Miles. When writing this I realize how completely ridiculous this sounds. It was definitely not the optimal setting to run 19 miles considering that I was already worn out from the day. This is the most boring thing I have EVER done. At least I'm not sitting in an insurance seminar. My knees are aching like CRAZY. I have knees. I don't like running in the dark. At least nobody will see me if I start crying. It's lonely to run in the dark for three and a half hours. I have lots of quality time with myself. 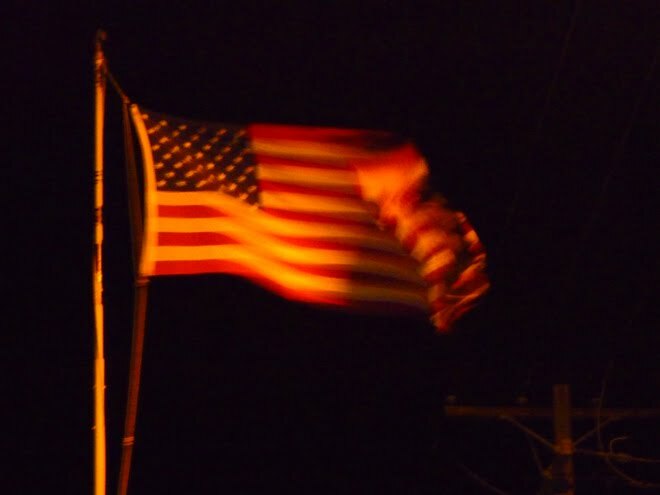 This wind is INSANE!! I have a nice breeze to keep me cool. Friday, October 29th 2010: Nothing. I pushed as hard as I felt capable of and finished with an average 8:23/mile pace. I felt sorry for the few people I passed who must have felt embarrassed to be passed by a nerdy guy wearing sequins. 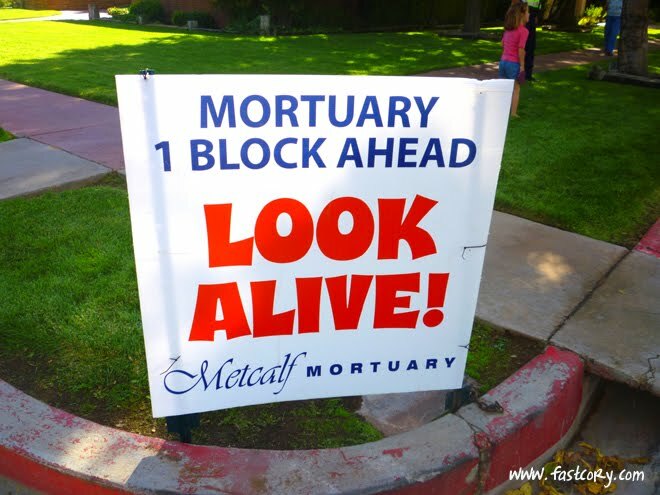 I'm sure they weren't as embarrassed as I was while I ran through the streets while cars drove by. Aside from my Ugliest Female Runner stunt on Saturday, I feel proud of myself for what I accomplished this month. 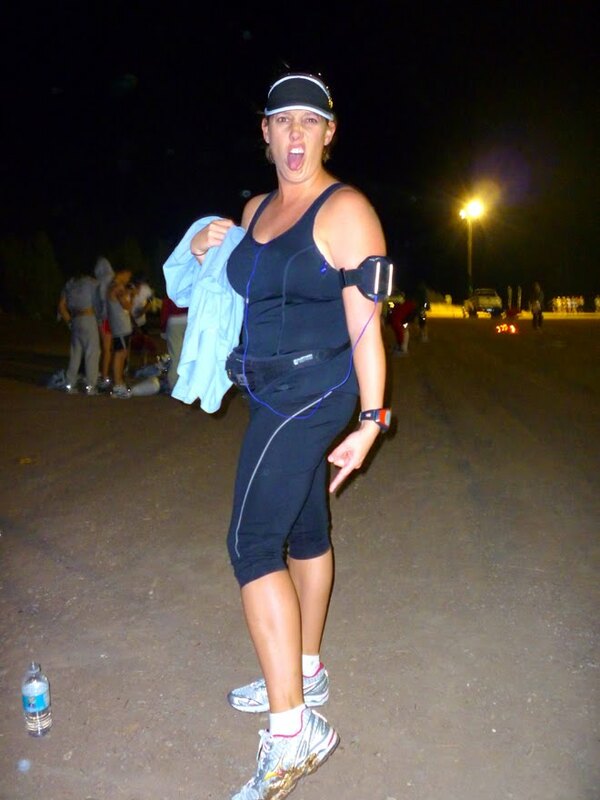 I ran 125 miles in October which is the most I have ever run in a month. I am still an exceptionally average runner but it feels good to know I'm working hard and doing the best I can. 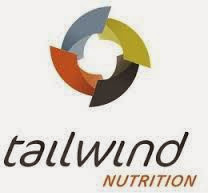 "If one can stick to the training throughout the many long years, that willpower is no longer a problem. It's raining? That doesn't matter. I am tired? That's besides the point. It's simply just that I have to." 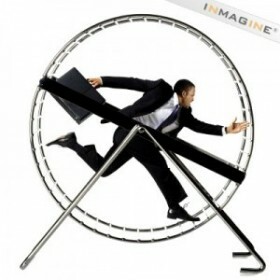 Monday, October 18th 2010: 5 miles @ 9:40 minutes per mile pace. A late night of running after a long day at work. Life was stressful this week and running gave me some good therapy sessions. Wednesday, October 20th 2010: 4 miles @ 9:33 minutes per mile pace. 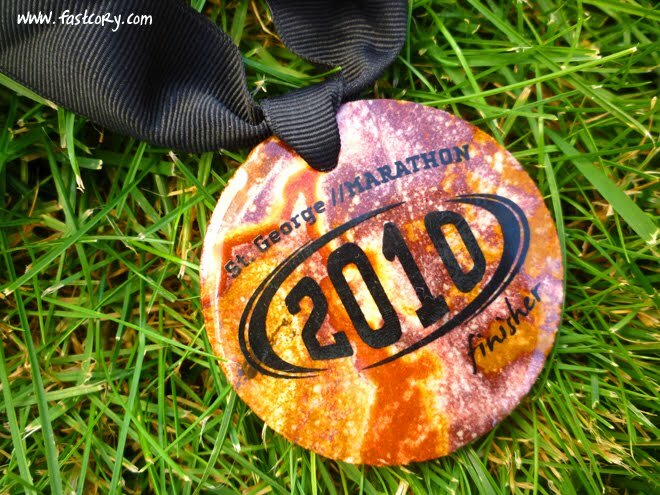 Friday, October 22nd 2010: 15 miles @ 10:51 minutes per mile pace. Due to work schedule changes I did my long run Friday morning. I got home from work late Thursday night and didn't have time to drop water bottles along the route so I decided to just run a one mile loop that goes around the block. You read that right amigo. I ran around the block for 15 miles. Actually, this wasn't so bad. In a way, it was less taxing mentally to know I was always close to home. I took advantage of this once to stop at home and change my shirt which had become drenched from the rain. 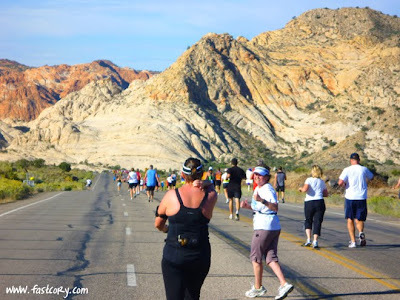 I downloaded talks from the recent LDS church conference and listened to them for the 15 miles and having something to think about other than pain made the miles pass by pretty quickly. 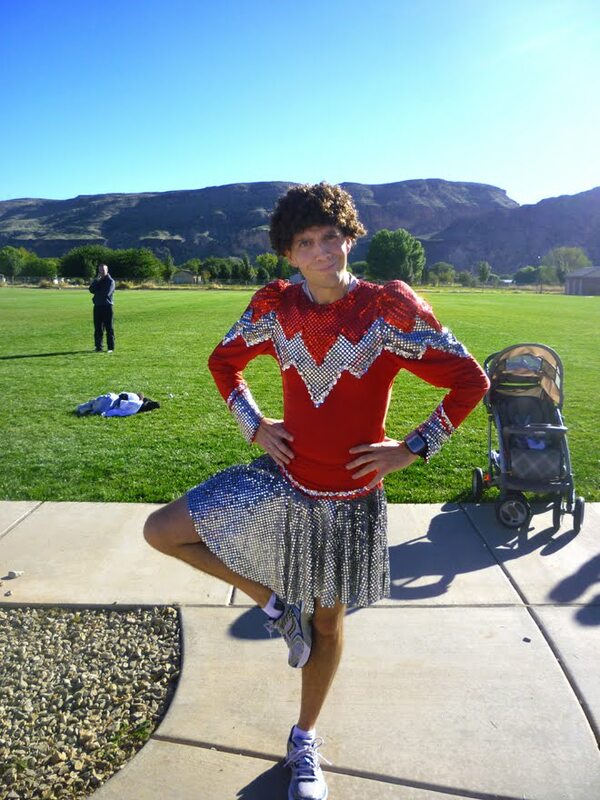 Later in the day I went to the elementary school to help with an activity where the kids ran one mile. I had a BLAST encouraging them and cheering them on. This was the most fun I've had in quite a while. 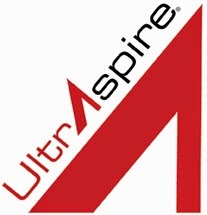 Saturday, October 23rd 2010: 4 miles @ 9:12 minutes per mile pace. I hadn't really planned to run, but after eating two Big Mac combos in two days (every ounce of will-power evaporated), I knew I needed to get my legs moving. I felt pretty good and decided to push my pace, ending at 9:12 per mile. But by the time I got home I was wiped out. I felt like I had pushed so hard and couldn't have gone one more mile that fast. What's slightly discouraging is knowing that to run a 4 hour marathon I would need to average around 9:11 per mile FOR 26.2 MILES!!! I think I'd be more likely to give birth to quadruplets than run this fast for 26 miles. Who knows. Maybe if I cut back on the Big Macs and Hostess it could be a possibility. "They say you can't run away from your troubles. I say you can." Monday, October 11th 2010: 4 miles @ 9:45 minutes per mile pace around the Widowmaker hill. Tuesday, October 12th 2010: 4 miles @ 9:46 per mile pace on Widowmaker. The absolute hardest part of the last few runs has been dragging myself out of bed early in the morning. Wednesday, October 13th 2010: 22 miles @ 14.9 mph on the bike around the Sand Hollow Loop. This was my first attempt going UP the really ugly hill called Nemesis. I felt very proud that I had made it all the way to the top without stopping. But I was even more proud that I resisted my strong urge to barf. How did my lungs suddenly fill with molten lava? Quick, Cory, go to your happy place! Why in the world did I eat enchiladas an hour ago???? When you barf enchiladas, aim for the grass instead of the track. Thursday, October 14th 2010: Nothing. My body needed rest following the previous day's TWO near-vomit experiences. Friday, October 15th 2010: 4 miles @ 9:25 per mile pace (not including the three times I was hunched over trying to breathe). 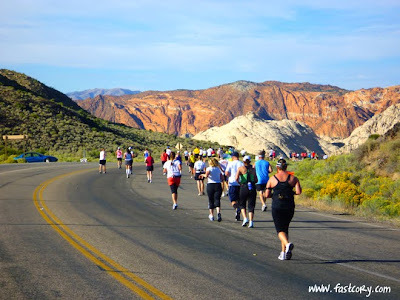 I ran in the Red Cliffs Desert Reserve. A little rabbit darted right out in front of me and I nearly wet my drawers. Saturday, October 16th 2010: 11 miles @ 10:36 per mile pace. My right foot started hurting the last half of the run which was strange. This is the first ailment I've had in a while. I think maybe I overdid it at the speed workout. I'm sure it will start feeling better with a few days rest. 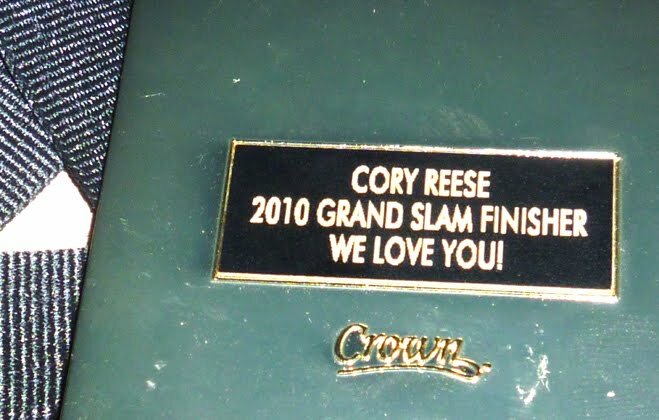 I felt a little sad a few months ago when I learned about the Utah Grand Slam. 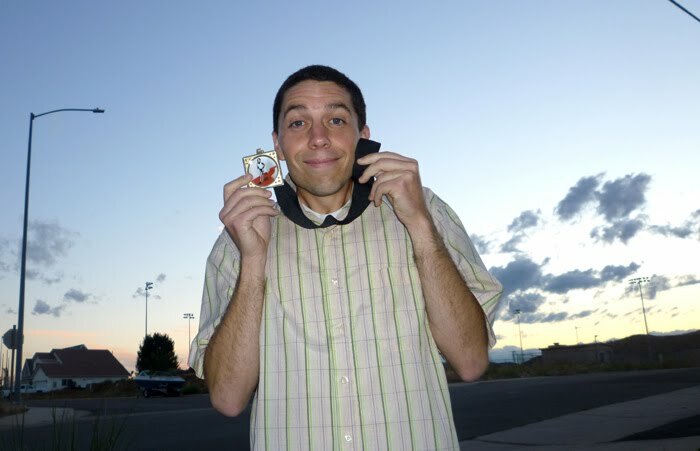 If you are approved for the Utah Grand Slam and run 4 of the Utah marathons over the summer you get a special medal. I ran enough races to qualify, but didn't hear about the Grand Slam until registration had long passed. 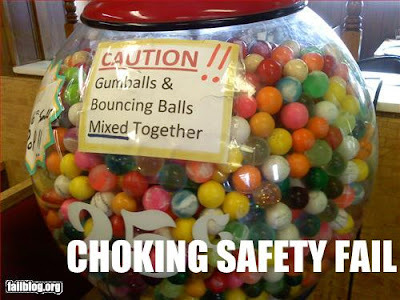 I thought this was so thoughtful of her. I bet all those other Grand Slammers are jealous because I'm sure their medals don't say "WE LOVE YOU!" Mel is basically awesome. 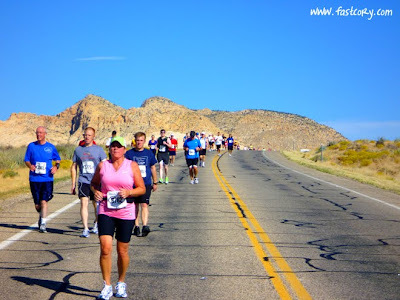 I wanted to tell you about a few upcoming races I will be running. Let me know if you want more info on registrations. 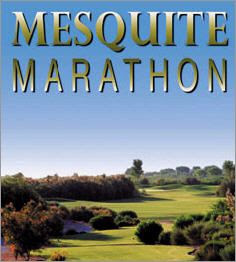 November 20th 2010: The Mesquite Marathon!!!!!! I hadn't originally planned to do this one but our friends Darrin and Shelly invited us to join them and I couldn't pass up the invitation. 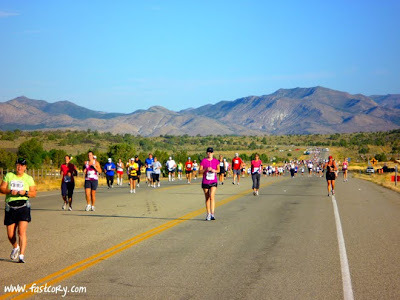 This will be my 5th marathon this year. I can't wait. I'd love to have you join me at any of these races! 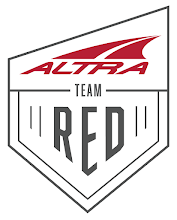 Stay tuned for all the training updates and race reports. This is a general overview of the St. George Marathon experience. 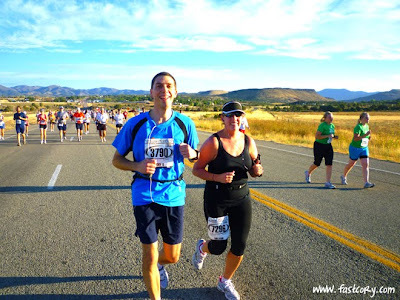 To see my personal marathon journey CLICK HERE. 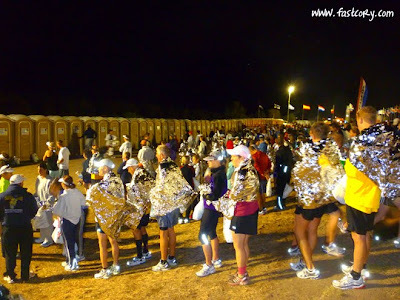 The starting line has the longest string of port-o-pottys I have ever seen. 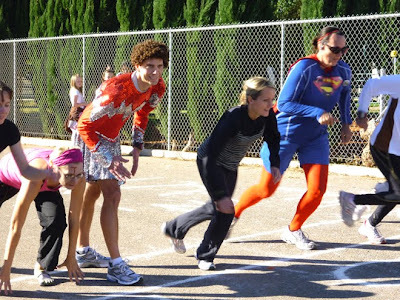 It’s a good thing because those pre-race jitters get everybody's bladders going. It is usually pretty cold at the starting line in Central (this year – not so much). 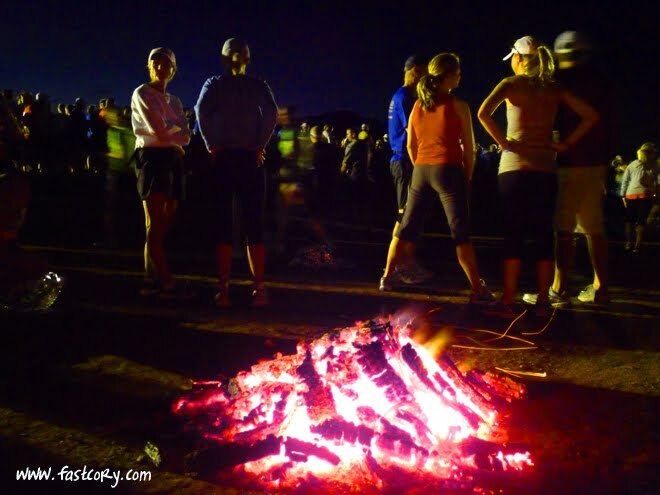 They always have lots of bonfires burning to keep runners warm. 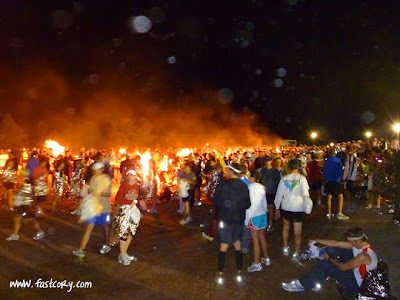 This year they also had space blankets available which was much appreciated. 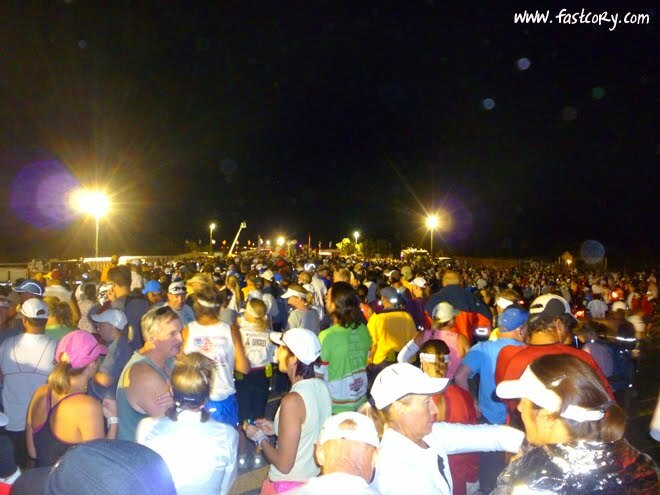 The thousands of runners anxiously wait for the 6:45am start time to arrive. We are praying that over the next 26.2 miles we 1) Don't throw up on our shoes, 2) Don't lose any toenails, and 3) Hopefully don't die. When the race begins, the crowd of people slowly plod like a herd of sleepy cattle toward the starting line. 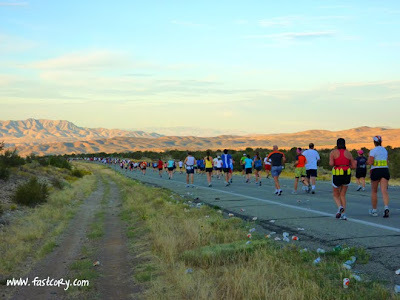 In this picture, the starting line is way off in the horizon. It took me and Mel ten minutes from this point until we actually crossed the starting line. Just leaving the aid station at mile three. 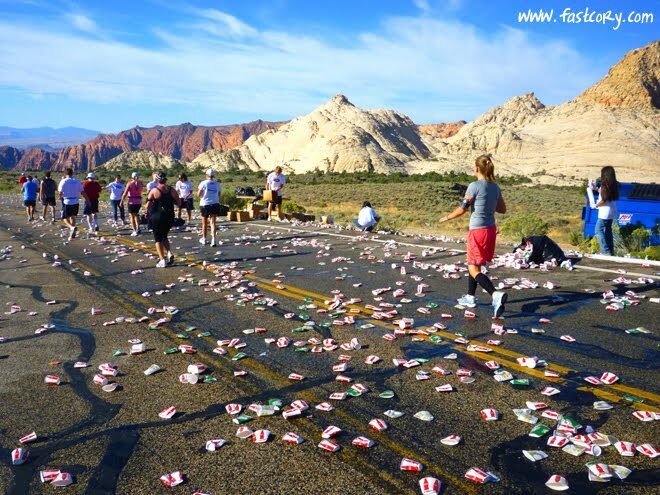 The aid stations at the St. George Marathon are first class. 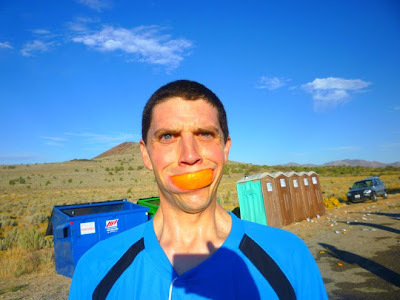 There is an aid station every other mile (until mile 23 when every mile has an aid station). Each has water and Gatorade and many of them have oranges and bananas. 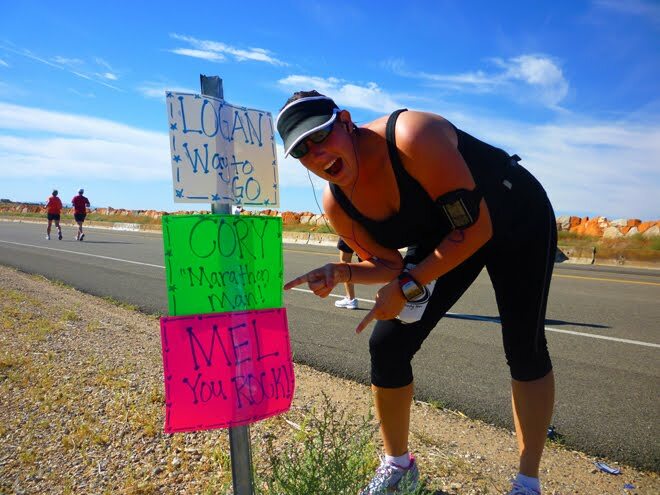 This is the only marathon I’ve run that has many aid stations with volunteers ready to rub Bengay on anyone with cramping muscles. This was a lifesaver last year. The volunteers are EXCELLENT! 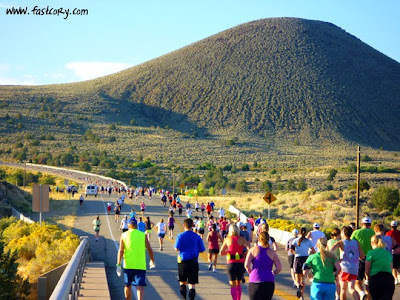 I think the St. George Marathon course is challenging. 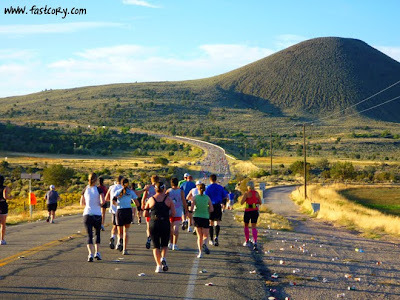 If you don’t run the Veyo Hill wisely it will haunt you for the rest of the race. 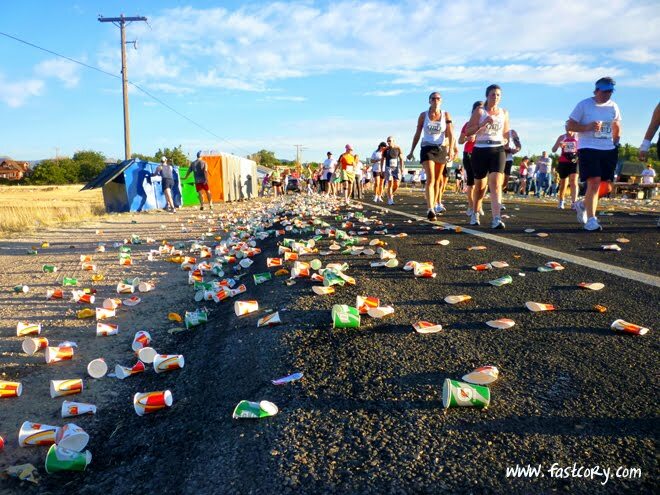 The marathon website says that over 4,250 gallons of water and 1,960 gallons of Gatorade are consumed during the race. Finally arriving at the downhill section of the course is a welcome relief. 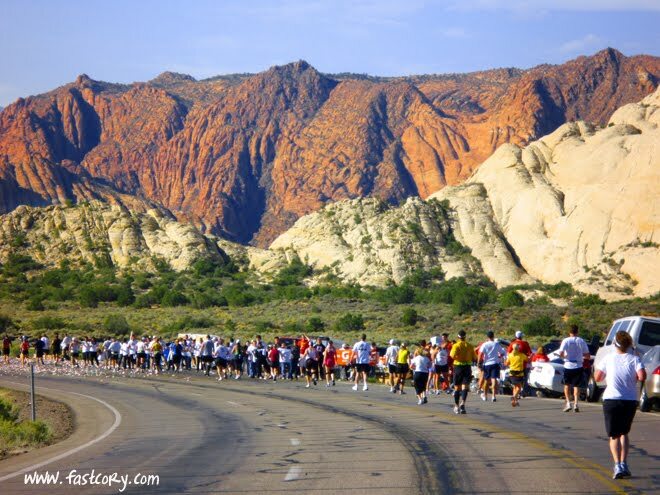 Mile 17 begins the most beautiful part of the course: running past Snow Canyon. The views are absolutely incredible. 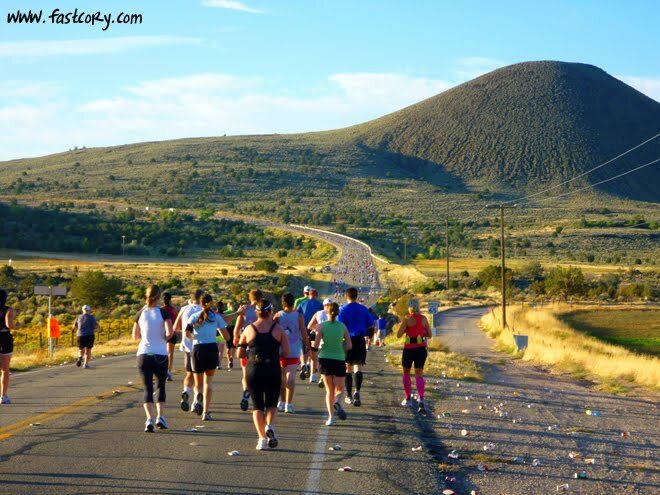 The amazing scenery almost makes you forget how bad your legs are hurting. Almost....but not quite. A steep descent follows as runners leave the Snow Canyon area. 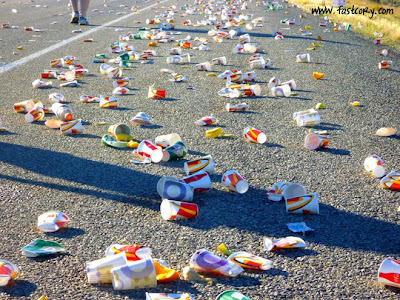 Just a few of the more than 200,000 cups (!!!) that are used during the race. After you cross the finish line you are welcomed by a row of water misters and a volunteer puts a medal around your neck. The finishers area is full of food and drinks. My personal favorites are Great Harvest Bread, ice cold Coke, and all-you-can-eat Blue Bunny ice cream. This alone is worth the registration fee! 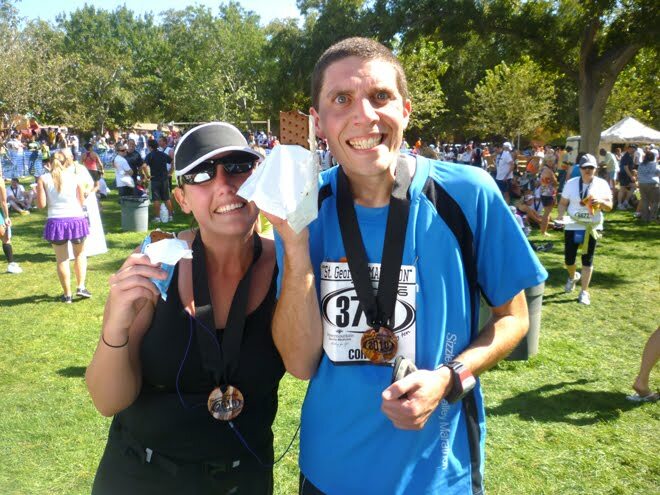 Instead of running for a certain goal time, runners should pace themselves to avoid nausea so they can consume ridiculous amounts of ice cream sandwiches. There are many little “extras” that make the St. George Marathon such a great experience. 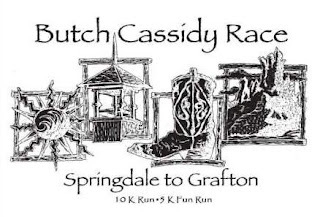 I like the long-sleeve tech shirt and the nice poster that runners get every year. A new addition this year was the runner’s first name on the bib numbers. I really loved this. It gave an emotional boost to have people cheering our names and have volunteers refer to us personally. My favorite extra is the finishers medal: a beautiful, polished circle of sandstone. You won’t find a better race medal. 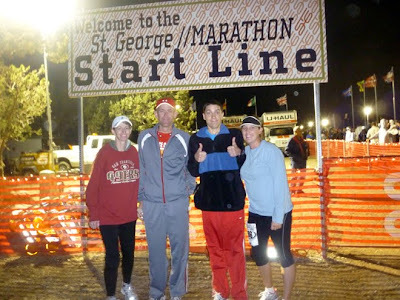 St. George Marathon 2010: 5 Hours & 26 Minutes!! This marathon weekend was one of the most fun experiences of my whole life. It started Friday night when we went to the marathon expo. We went to the First Timer's clinic by Terry Tucker which was excellent. He said that he did everyone a favor and took down the wall at mile 20. He said that people hit a wall at mile 20 because they think that is what's supposed to happen. They expect it. And so that's what happens. He suggested that runners get that out of their minds and decide that if they are going to "hit the wall", they can do it at mile 27. Great advice! We also picked up our race packets. 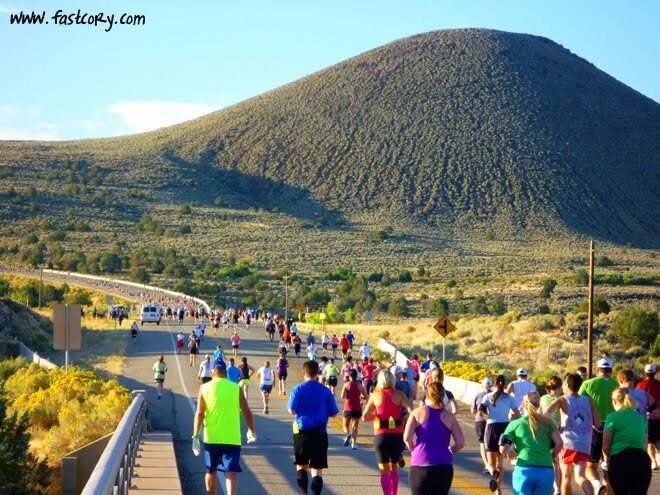 The St. George Marathon prints a poster every year that they give to all 7400 runners. I was surprised when I looked at this year's poster to see that it was one of the pictures I took during last year's race! 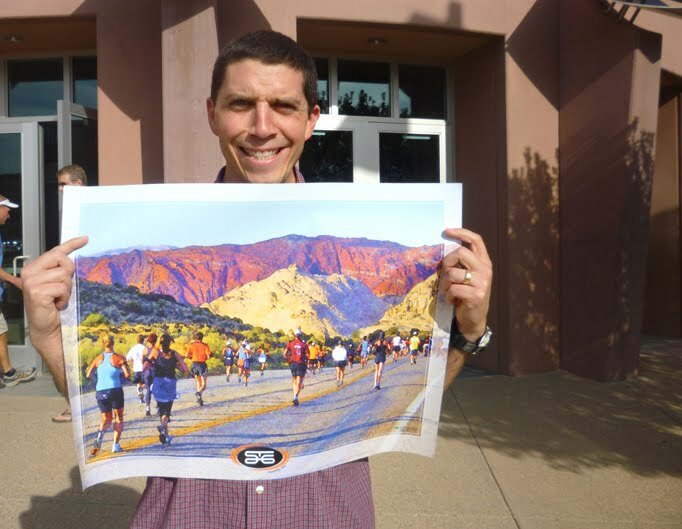 They contacted me a few months ago to ask if they could use a picture in one of their publications, but didn't tell me that it would be the official race poster. What a cool surprise! Saturday morning we rode the bus with our friends Darin and Shelly to the starting line in Central, Utah. The bus to the marathon is always full of 1) Nervous chatter, 2) Anxiety, and 3) The penetrating smell of Bengay. Before the bus started, the driver told us where the exits were, how to locate a fire extinguisher, and where the emergency brake was in case she wasn't able to stop the bus. One witty runner said "You haven't told us what to do in case of a water landing." And now for the funniest story of the day: The marathon was a few minutes from start time and lots of runners headed for the hills, bushes, and trees in the dark for a last-minute bathroom break. Mel decided she'd head for a bush too. A few minutes later I could smell her coming back. She was distraught and said that in the darkness of the bushes she stepped in someone's poop! She did her best to wipe it off, but it still sloshed out the holes of her shoes when she stepped down. This is evidence of the fact that I love my wife: I still agreed to run with her for the next 5+ hours DESPITE her smell. From the moment the race started, it was very, very warm. I was a bit concerned when I was already sweating my guts out at mile one. That is unusual for me. Mile one was miserable. Not because of the race, but because of the guy who was running by us. He reminded me of a very un-funny Jerry Seinfeld. "Man, there sure are a lot of shirts on the side of the road." And now for the punch line......(wait for it....wait for it.....) "Man, someone is going to get themselves a free shirt after the race." Instead of getting laughs, I think I heard crickets chirping after the joke. People were not impressed. This continued on for 10 minutes before we stopped to walk and let Seinfeld move ahead. Seinfeld is lucky nobody was carrying a pocket knife. Otherwise he may have been the first death ever at the St. George Marathon. We spent some time running with our kid's awesome first grade teacher and 21-time marathon runner Mrs. McCombs. I love this picture where I happened to catch her looking back to provide some encouragement and moral support. This is what the marathon is all about: everyone helping everyone make it to the finish line. 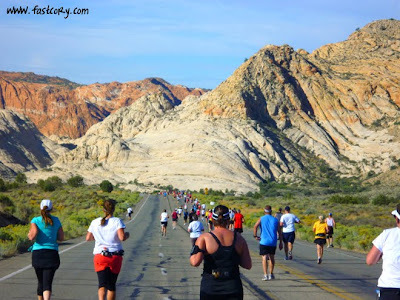 I am convinced that running through Snow Canyon is one of the most amazing things in the world. Here is a glimpse of the Snow Canyon aid station. By mile 18 it had become ridiculously hot (Ridiculously hot = 94 degrees. Seriously.). Dehydration had set in and many people had started the marathon death shuffle. 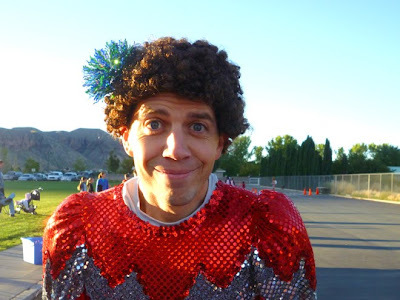 Cory: "Alex, I'd like to take Heat Stroke for $600." Every once in a while we would see a shuttle drive by, with its welcoming doors wide open offering runners its comfy seats, air conditioning, and a ride to the finish line. It seemed like a vulture circling around a wounded animal expecting to get a meal soon. But none of the runners I saw gave in to the temptation. The Young Women in our ward did a project where they made signs for everyone in the neighborhood who was running the marathon. I thought this was so thoughtful and the signs helped us stay positive so we didn't become dinner for the vulture. 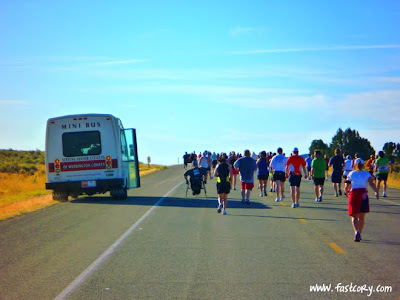 Within the last few miles all fluid had been leeched out of our bodies. If we had been grapes at the starting line, we were now raisins. Like those really shriveled, hard raisins that you buy at Walmart. It was 94 degrees outside and we had been running for five hours. 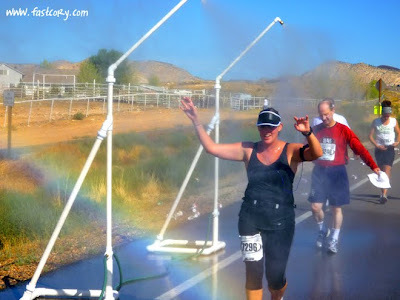 These big water misters were a welcome sight. If you had come up to Mel and said "Listen, you look like a raisin. I will give you $1000 and tickets to see Oprah, or you can walk through my water mister." she wouldn't have thought twice. She'd take the mister. Mel's goal for the race was 5 hours and 30 minutes which I thought may be a bit ambitious. But within the last few miles I knew she could do it. I pushed her to keep going and ensured her that she would thank me later even though in the moment she may have wanted to ram an ice pick through my eyeball. 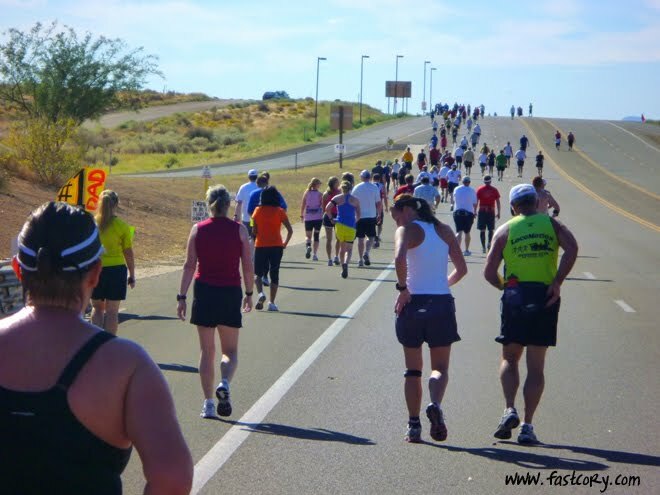 We were passing lots of people and it was a cool feeling to be running while everyone else was walking. We did the Galloway run/walk method and passed LOTS of people who cruised by us earlier on in the race. You will never believe who we caught in the last mile: SEINFELD! Unfortunately he had the last laugh and sped past us at the end. In the last stretch we saw lots of friends, and Mel's mom and sister who brought the kids in to see us run. We were so thankful for them. We reached the finish line in 5 hours and 26 minutes, so Mel beat her personal record by 35 minutes! Amazing. I was pretty overheated and gave myself a 63% chance of throwing up (fortunately I beat the odds). 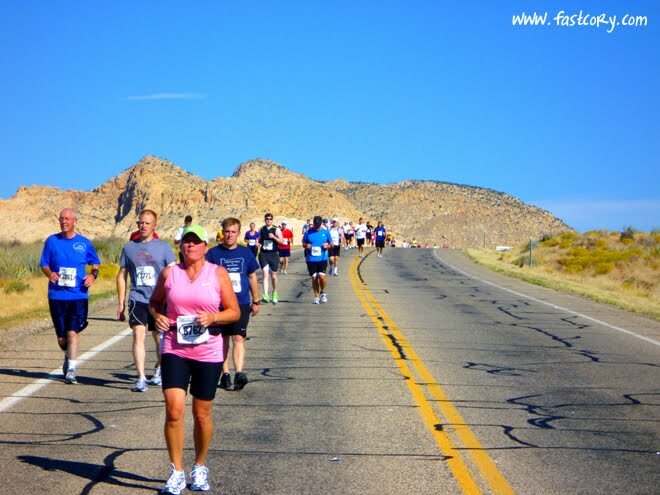 The St. George Marathon does an incredible job with the finishers area and has tons of good food available. I had been so excited to eat a month's worth of Blue Bunny Ice Cream. Unfortunately by that point my stomach felt so sick that I didn't really want to eat anything. I managed to get down half of an ice cream sandwich. I felt really proud of Mel. She worked hard in her training, pushed through some challenging times during the race when she wasn't feeling very good, and earned herself a PR. 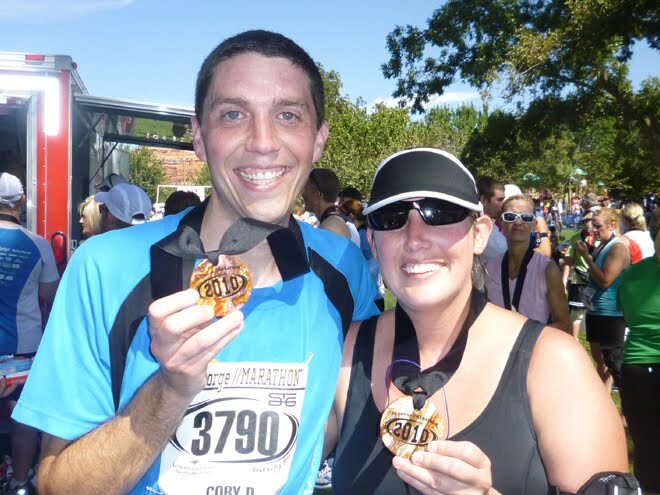 A year ago she wanted to run a marathon but didn't want to do it by herself. 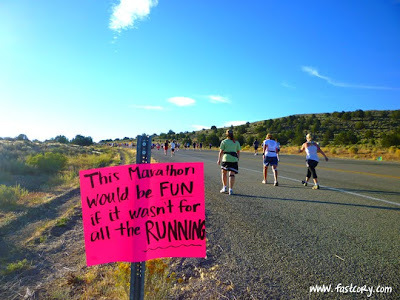 I told her that if she really wanted to run a marathon, I would run it with her. It was rewarding to have that day arrive. I felt really proud of myself. I ran 4 marathons in less than 4 months and feel like I have learned so much since I did my first marathon a year ago. 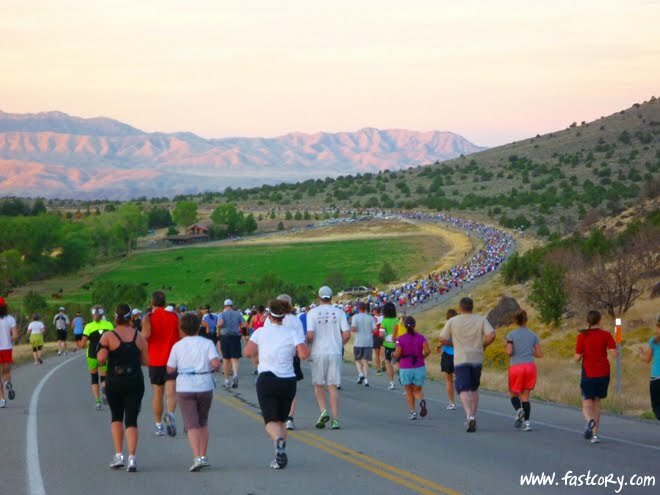 I once saw a Nike quote that said "Running never takes more than it gives back." I think this is so true. This was one of the best experiences of my life. So......did you do the race? If so, how did it go? Did the heat make you want to attack Jerry Seinfeld with a pocket knife?